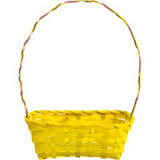 Oh, the empty Easter basket… It can strike fear into the hearts of moms who try so hard to keep kids away from sugar and other toxic junk. So what do we tell the Easter Bunny to bring if we want to stay on the healthy food path? Thanks to Kimi Harris at the Nourishing Gourmet, with very little effort you can ditch the corn syrup, artificial dyes and other yuckiness found in those little marshmallow peeps, and instead make this healthy gelatin-based version. Is a source of protein (though not a spectacular one) but its specific amino acids can help build muscle. Gelatin is largely composed of the amino acids glycine and proline, which many people don’t consume in adequate amounts since they are found in the bones, fibrous tissues and organs of animals. As a population, we don’t consume these parts as much anymore. These amino acids are needed not only for proper skin, hair and nail growth, but for optimal immune function and weight regulation. You can order your gelatin online here, and enjoy your yummy gelatin peeps! Next Article Weed with Your Yoga Class?